Jasmine Fogwell grew up in Norland, Ontario. While living in the old inn of Nemesté, James discovers that he and his parents are not the only ones calling the inn ‘home’. On the third floor lives a mysterious old lady named Rionzi DuCrét. Though Rionzi is feared by the villagers and confined to her rooms, she and James strike up an unlikely friendship and soon discover they have both befriended leafy, mushroom footed creatures in the woods called Fidoris. James’s parents tell him he is too old to have imaginary friends like the Fidoris. And when 150 year old Rionzi DuCrét tells of her Fidori adventures, the people of Nemesté say she has gone insane. Will James and Rionzi be able to prove the Fidoris are real, even though their secret mission is threatened by suspicious villagers and their own doubts about the existence of the Fidoris begin to grow? Keith Weaver was born in Lindsay and raised in Coboconk, but now live in Toronto. His novel, Balsam Sirens, takes place at Balsam Lake. For Mark Whelan, Private Investigator, it all begins in a sombre but entirely unremarkable way: a visit to the morgue to provide moral support to a client as he formally identifies his brother. But Whelan’s interest is piqued by a link between the victim’s death and Whelan’s own youth and by signs that the death is the result of something darker than the “accident” being suggested by the police. The appearance of a mysterious message from the dead man, the discovery that his apartment had been burgled, and an attempt on Whelan’s life prove that something else, something very valuable, is in play. Then the bodies begin to pile up. Balsam Sirens tells the story of a private investigator who takes on a case that appears routine, but who is soon swept to the edge of a psychological abyss by the abduction of his wife. Whelan, a PI colleague, and an unlikely ally – a fearless bush pilot called Kate – drive the action forward to a gun battle and a surprising outcome. 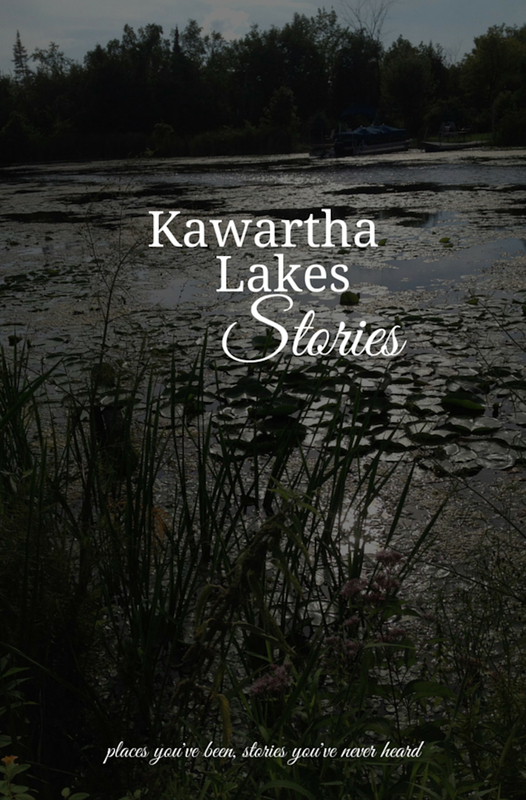 Lori Jean Rowsell is a short story writer in Kawartha Lakes. Cathy Hamill-Hill writes for a number of publications as well as short stories. Her writing works span from agriculture, municipal politics, and community events. Tiffany Short is a short story writer in Kawartha Lakes. Although no longer residing in Kawartha Lakes, Gabrielle Wills based the fictional town in her novel, A Place to Call Home, on Lindsay. During his teen years, author Linwood Barclay lived at Green Acres Trailer Park in Bobcaygeon. He writes about the experience in his memoir, Last Resort. Lindsay resident Dave J. Ford is a cartoonist. It Only Hurts When I Laugh is available for purchase from the artist’s website. Places you've been. Stories you've never heard. An anthology of local stories by local writers. Sign up for the newsletter to hear about all the authors/writers/books news in Kawartha Lakes, right in your inbox. Click here to view our past issues. Are you a KOBO reader? Kawartha Lakes Writers is a participant in the Amazon Services LLC Associates Program, an affiliate advertising program designed to provide a means for sites to earn advertising fees by advertising and linking to amazon.com.